Director: Tate TaylorWriters: Scotty Landes, Tate TaylorStars: Missi Pyle, Luke Evans, Juliette LewisSummary: In this new psychological horror-thriller from Tate Taylor and Blumhouse, a lonely woman befriends a group of teenagers and decides to let them party at her house. Just when the kids think their luck couldn't get any better, things start happening that make them question the intention of their host. The film is scheduled to be released on May 31, 2019, by Universal Pictures. 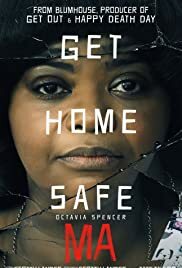 This entry was posted	on Saturday, March 30th, 2019 at 6:20 pm	and is filed under Horror, Movie List, Movie Trailer, Movies, Trailers. You can follow any responses to this entry through the RSS 2.0 feed. You can leave a response, or trackback from your own site.